When I was a medical student, trying to forge my path on the clinical wards as a third year, there was a lot to turn me off the idea of a career in medicine entirely – sleep deprivation, early mornings, late nights, standing for hours on rounds, subsisting on diets of hospital graham crackers and off-brand peanut butter. However, what frosted me the most was constantly playing 6 degrees of separation from the attending. As a student, you reported to the intern who reported to the junior resident who reported to the senior resident who reported to the fellow who then discussed with the attending. After all that work, you spent most of your time just trying to keep track of the medical decisions that happened at the attending level, as that information slowly trickled back down the ladder to you. In the emergency department, such is not usually the case – students, interns, residents, fellows and attendings alike all work side by side for 8-12 hours at a time. On inpatient units, your only interaction with the attending was often only at rounds (and even then, you weren’t convinced the attending knew your name by the time he or she was expected to fill out your evaluation). But in the emergency department, the team dynamic usually has a more egalitarian feel. 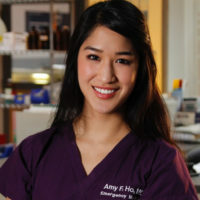 Often the attending is bedside helping interns and students with procedures, and in general everyone is easily accessible and usually approachable and open. One of the things we’ve done better than any other specialty is form the team dynamic where order exists, but it doesn’t oppress. However, as we rise in the ranks (myself becoming an attending very soon), we often forget what it feels like to be at the bottom of a totem pole. Calling the medical student “Student”. “Hey, Student!” is incredibly demeaning. Especially when we know we will be working with someone for an entire shift, it really is worth learning and remembering their name. Just think how much nurses hate it when patients call out from a room, “Nurssse! Nurrrse!”. Don’t do the same to the students. We can address people with names, not labels. Same as #1 for consultants. We are a department that only calls on our colleagues to give them more work and we should try to be respectful of that. We exist in a symbiotic relationship, and at a certain point, “Hey, Neuro!” starts to seem too impersonal for those 4 am phone calls. Dropping the mic out the room once the procedure is done. Attendings and senior residents alike are incredibly guilty of this – when we are doing a procedure with a more junior person, we have a nasty habit of leaving them and our mess after the fun/main part of the procedure is done. Junior residents are not janitorial staff. Students are not janitorial staff. While everyone understands that if things are busy, it is completely reasonable to ask someone to clean up so you can go do something else. However, often this happens as well when it is not busy. It’s a bit insulting when the student emerges from a room covered in dust from cleaning up all the trash that fell on the floor (read: that you threw on the floor) during the procedure, that they find you at the desk looking at Facebook and telling them to go see another patient. Not recognizing the efforts of your ED techs, radiology techs, and respiratory therapists. The department literally cannot function without radiology techs pushing those behemoth machines around for our portable x-rays, our techs doing our countless EKGs and other work, and our respiratory therapists taking the time at bedside to do all that deep suctioning we frankly don’t have the time for. They can absolutely make or break a department, but we too often overlook them. Not looking after your own team. The ED gets to be an incredibly chaotic place – as team leader, remember everyone on your team is still a person and you’re responsible for their patients but also for them. Check in to make sure everyone has eaten something, drank something and urinated at least once during a shift! Not doing so is a recipe for burnout. Of all the specialties, emergency is the best poised to help change the culture of bullying and abuse of hierarchy. These may be small changes, but small gestures can make a big difference for overall wellness and culture of a department – and hopefully, as a field.